Finally, here is a new release! And what would be better than some folk with a twist of breezy pop? Well, some toy-folk mixed with spoken words and aerial pop of course! 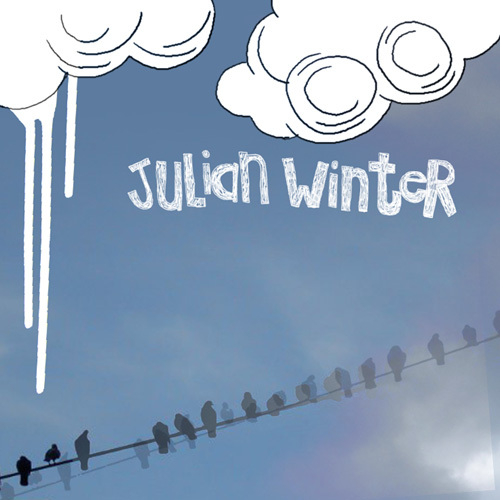 And here we are, introducing Julian Winter and his debut ep on petitejolie. Julian is a sweet guy who has a kind of fondness for toy instruments and making sounds out of these poor & left-aside instruments. Not only the fact he managed to make this ep with some cheap e-guitar and e-bass, a broken microphone and an old keyboard… he even ran into household articles and recorded them. 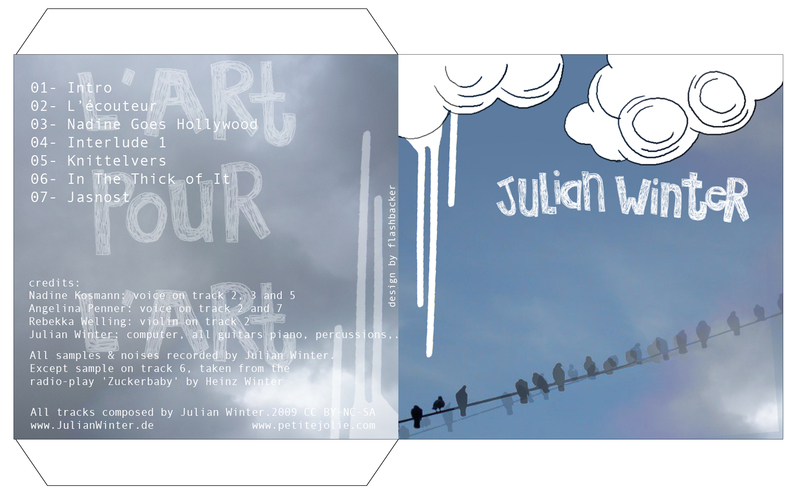 Thanks to Julian Winter, all these objects can get back to life by being a part of his very nice debut ep, where words are flowing along with soft pads, kitchen goods slowly beating the time behind the guitar arpeggios… where the time stops and let us rest a moment, watching the rain falling, waiting for the sun.